Please call or email us place an order. Thank you. Tel : 07874109267 * Email – info@hlsmfarm.uk. 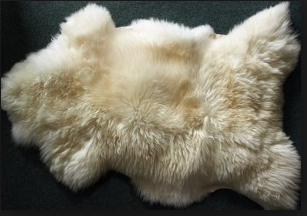 Our very own lambskins are tanned to produce luxurious sheepskin rugs by Britain’s oldest tannery which still employs traditional processing techniques. A truly lovely gift for someone special. Perfect to wiggle your toes on in the cold winter mornings, throw them over a chair or sofa, ideal to keep your new born cosy in the pram, or just an extravagant gift to yourself to snuggle up to and being locally sourced from our flock makes them all the more special. Wonderful addition to my home – I LOVE mine. Buy one ! !